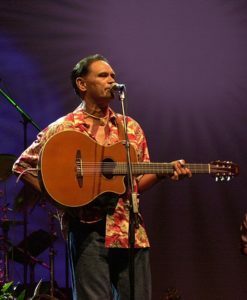 The Maui Arts & Cultural Center presents Artist 2 Artist with Henry Kapono featuring a series of four concerts. In this engaging MACC concert series, two artists talk-story, play music, and have fun. 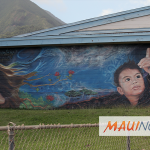 Each concert will feature Henry Kapono and a different guest artist in an intimate format that offers the audience a rare opportunity to get up-close and personal. 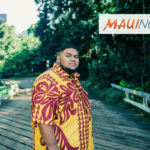 Friday, Feb. 1: The first concert features special guest Sistah Robi Kahakalau. 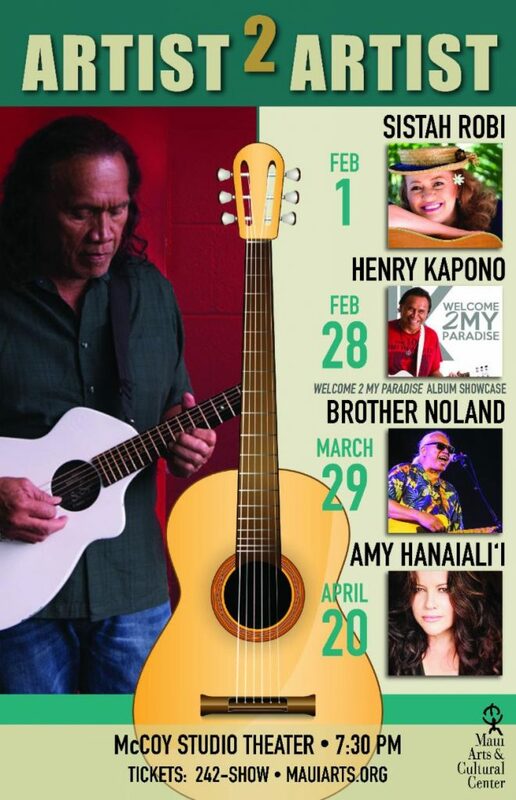 Thursday, Feb. 28: Henry Kapono celebrates his new Welcome 2 My Paradise album with a special concert. The release is his 20th solo album to date, and features performances of both new and old material, along with an audience talk story session. Friday, March 29: Henry Kapono performs with special guest Brother Noland. Saturday, April 20: Henry Kapono performs with guest Amy Hānaialiʻi. The artists will share music and stories from their careers and answer questions, giving the audience an up-close-and-personal seat at the jam session. All concerts are in the MACC’s McCoy Studio Theater and start at 7:30 p.m.
Tickets to the newly announced concerts go on sale to MACC members first on Wednesday, Jan. 30, 2019. Tickets go on sale to the general public Friday, Feb. 1, 2019. Tickets are $35, $45, $65 (plus applicable fees). MACC members receive a 10% discount on individual show tickets. Special Series Discount: Those wishing to attend all three of the newly announced **concerts are eligible for a special series discount. MACC members receive a 20% discount and the general public receive a 10% discount. Series tickets must be purchased in person or by phone directly with the MACC Box Office. The discount applies to patrons purchasing the same amount of tickets for all three shows. **(Note: the series discount does not apply to the Robi Kahakalau concert on Feb. 1, 2019). To purchase tickets, visit the MACC Box Office, call 808-242-SHOW or click MauiArts.org. The MACC Box Office is open Tue-Sat, 10-6 for window & phone sales. Online sales available anytime. Not a MACC member or have an expired membership? CLICK HERE to join and receive member benefits.